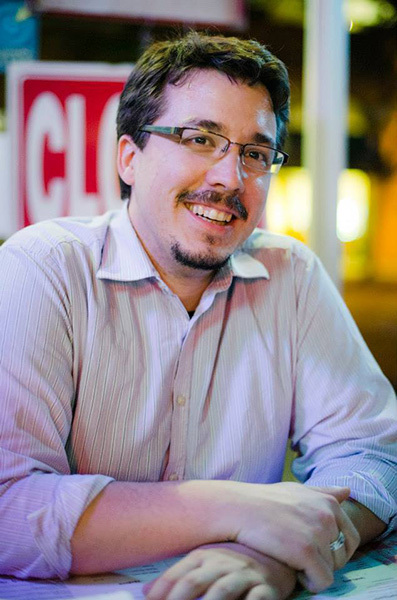 Jonathan is an Affiliate Research Scientist at the Space Science Institute investigating exoplanet atmospheres from the ground (Magellan/Keck/KPNO) and space (Hubble/Spitzer/Kepler/TESS). I also make predictions for the use of both the NIRISS and NIRCam instruments to capture the primary goals of exoplanet atmospheric research, to constrain the planet formation process in a greater context, to inform astrobiological studies, and to understand our own existence in that framework. My research involves discovering the chemistry in the atmospheres of foreign worlds, called Exoplanets. Exoplanets that fortuitously pass between their host star and the Earth allow a tiny-tiny fraction of starlight to pass through their upper atmosphere, and we use this to unveil the physics on the diverse multitude of planets in our galaxy.